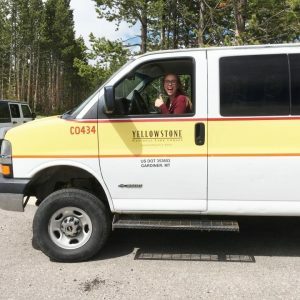 Caroline Cloud graduated from the School of Sustainability at Arizona State University in 2017, and now she is working at Yellowstone National Park as a Risk and Sustainability Specialist for the park's concessions management company, Xanterra. Cloud recently spoke with ASU Student Life about her position. "Don’t be afraid to take a job away from home or out of your comfort zone," she said. "If you’re qualified, apply." Read Caroline Cloud's full Q&A from ASU Student Life.